I came down to Anstey on the 2nd training night. I got involved because I wanted to lose the baby weight. So with the help of kim on my first night I got the bug. So on my first night I think I did a mile and a half in about 30 minutes!  but then I started to see improvements building up my miles. And one day me and Gemma decided to do the bradgate loop. Shocked by our achievements we started thinking about the races. My first race was swithland 6 and was proud to finish. Then completing prestwold 6 minutes quicker I was over the moon. 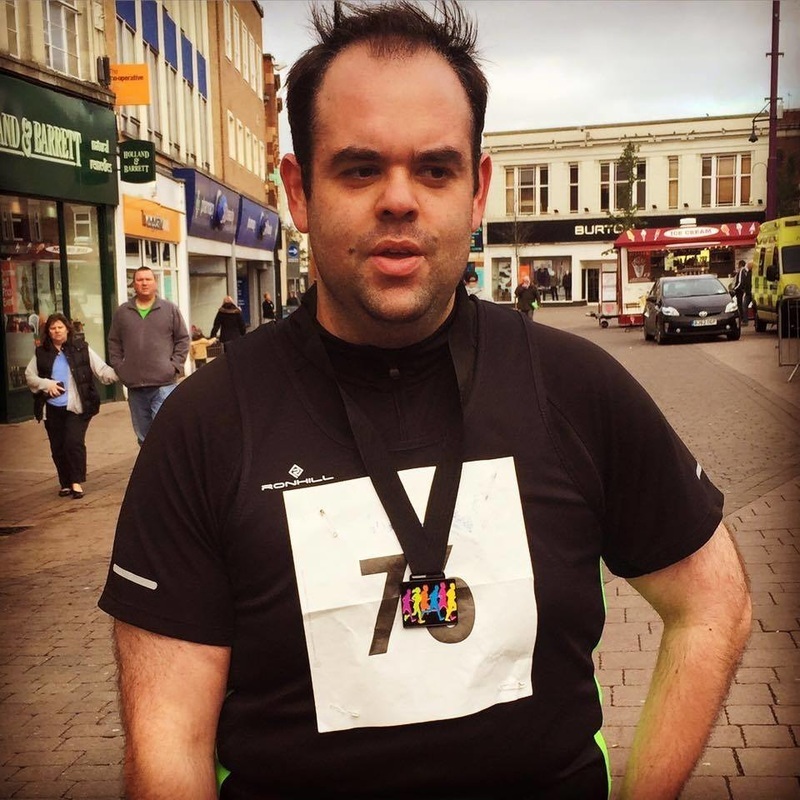 Then it was on to half marathons  robin hood and leicester within a few weeks of each other something I never thought I'd achieve. Now I'm just enjoying running and still improving slowly. So this is my running journey. I was there for Team Anstey's first run out. I had never ran before. And I'll be honest I really didn't want to be there that first day. I didn't want to be part of the club, I really didn't want to run. And certainly the idea of running in the public domain where people can see you and "judge" you isn't exactly how I wanted to spend my free time. After all you only run in public if you're runner. I was not a runner, so no I really had no desire to run or join the club. But Geoff started all this and we spoke before hand many times. His advise it's not about speed, it's about going out and having fun. So in true Team Anstey fashion I came along that first night, internally I was bricking it. But to be honest I didn't think anyone else would turn up and the club wouldn't last more then a few weeks anyway (don't tell Geoff). Boy was I wrong! So I came along and I ran. I moved continuously for 30 mins and I didn't stop. I felt like I was dying but I didn't stop. So the next week I came along again. I had already ran once before so I didn't have an excuse, I had to continue, I had to run to the end. So I did. 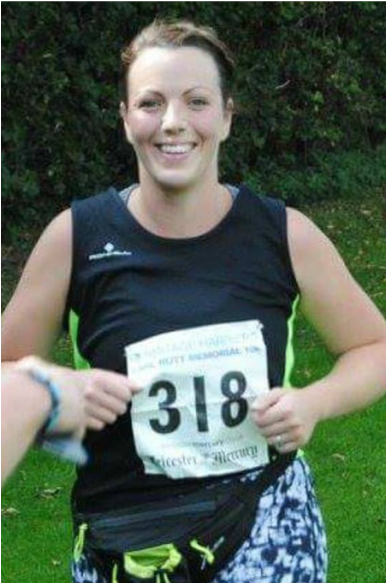 My first year of running was broken up due to unfortunate family issues midway through, along with a persistent injury. The club also moved from 30ish minute runs to 50+ minutes runs! I couldn't run for that long, not after such a break in between. As time passed the thought of coming back became harder and harder. As a committee member I felt like I had two choices, quit the club entirely or come back to running. It wasn't really a choice, I missed running, I missed you all at the club. I missed not being involved. I missed the feeling of going out and achieving something that I did by myself for me. I missed Team Anstey. So I came back fully and have taken part in as many sessions as I can each week including the the track speed work sessions. There's so many people at this club who pull you along. It make's you feel like you need to continue not only for yourself but to prove them right for being so supportive. From the time I came back fully last August is when I really look at my progression and feel a sense of achievement. I just love running, I love this team. My proudest moment has been completing the Loughborough 10km. It was my first timed race. I had trained for 9 weeks going into it but the Tuesday before hand I injured my hip and thigh. I didn't want to pull out so had physiotherapy and hoped for the best. I didn't really sleep the night before. About 1.5 miles into the race felt my hip/thigh go again and those around may have heard me yelping in pain as I pulled up. The next 10 seconds was the only time I stopped. Thanks to Gemma who ran with me and wouldn't let me quit, I completed my first race and even managed to smash the last 2 miles. I achieved my first ever running medal! Me! I did that! YES ME!!! Taking part in the league races this season has been a massive achievement. When I started, the thought of finishing a 5km park run was my end goal. I was happy to watch everyone else take part in league races and just make the Videos. But as I made every video I was jealous of the buzz you all felt and I wanted to feel that too. So completing the Barrow 6m was an amazing achievement (thank you Andy, we got each other round) and was nice to see myself in the video so I have something to look back on. Now I want to take part in all the league races. 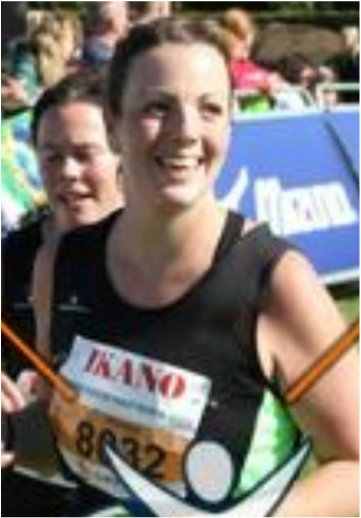 I also have my inaugural half marathon booked in as well to boot. Between 2010-2011 I was ill due to ulcerative colitis. 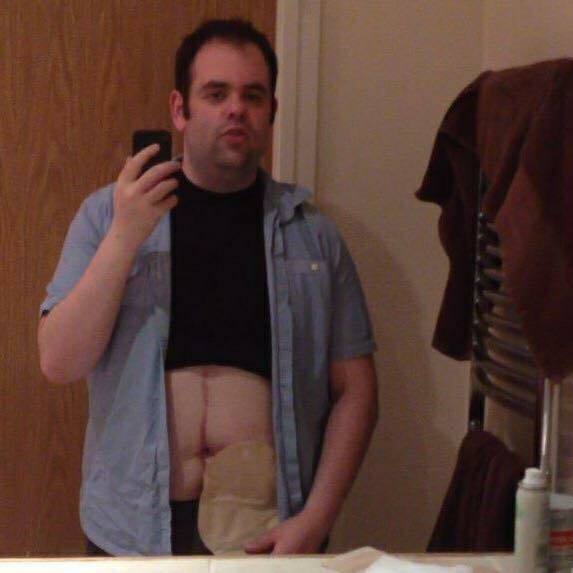 Over the 2 years I had several spells in hospital and required two emergency surgeries and now have a permanent ileostomy. I thought running with the bag would be an issue at first, especially on longer runs, thankfully I've had no issues. The likelihood is there will be others at Team Anstey who have or know someone whose going through similar issues. I'm always happy to talk if needed. We all have adversity in life that we need to overcome, some scars are internal, some are external but we're all here to help each other. The support everyone at Team Anstey offers is what makes this club so special. The advice I'd give others is the same advice I want to give the person at the beginning of this piece. The person who thought "you only run in public if you're a runner". Well who determines what a runner actually is? Nobody ever gave me a list of attributes as to what makes a runner. I just told myself you're not good enough, you're not fast enough, you don't look the part. Well I was wrong. I was a runner back then I just didn't know it yet.